Olympian swimmer Brooke Hanson, and her husband Jared Clarke, welcomed their son Jack on July 8 last year. Jack was born at 28 weeks by emergency caesarean; 12 weeks premature, he weighed just 663 grams (23 ounces), and was 32 cm long. 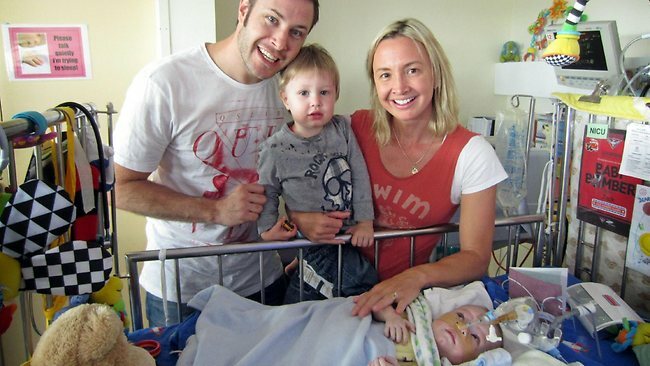 Jack was cared for at the Monash Medical Centre’s Neonatal Intensive Care Unit for nine months, as he had severe chronic lung disease and pulmonary hypertension. His struggle to survive ended on April 3 when he suffered cardiac arrest; he died peacefully in his parents’ arms. Jack’s family will hold a private memorial service for him in Melbourne after Easter. A donation to Life’s Little Treasures Foundation in lieu of flowers would be greatly appreciated by the family. The Life’s Little Treasures Foundation is an Australian charity which is dedicated to supporting the families of children born sick or premature, and Brooke is one of their ambassadors.